We are filmmakers that have a passion for the craft of film-making. We developed Synimatica to help bridge the gap between independent filmmakers, the production eco-system, and major distribution platforms. Over the last few years we have attended festivals, worked with other filmmakers, and been in countless discussions about the problems that arise with Indie film-making. The problems and challenges were consistently the same: Insufficient financial backing to develop early stage concepts, lack of finishing funds for in-flight projects, inability to develop and produce concept shorts as a path to future projects, and lack of a distribution and marketing plan to recoup production costs. We created a platform that we hope can bridge the the great divide between the film-making development process and the need for broad distribution. The Synimatica platform is a marriage of the traditional world of film-making and the global reach of digital distribution that is not only focused on finding an audience, but also on helping filmmakers validate and provisionally fund concepts in the early stages of development . Our digital distribution platform streams content on Roku, Apple TV, Chromecast, and Amazon Fire TV with more platforms on the way. We aslo offer FREE promotional content to any viewer, including behind the scenes videos, interviews with trending filmmakers and film festivals, 48 hour films, shorts, trailers, and WIP pieces. Opening this year, we will provide filmmakers with a chance to submit their early stage concept for seed funding awards or work-in-progress film to seek finishing funds on the platform. Public subscribers and private institutional investors will be able to watch and rate 10-minute concept and pitch videos to compete for funding awards. The platform is will host both public and private equity opportunities to springboard a concept or complete work in flight. 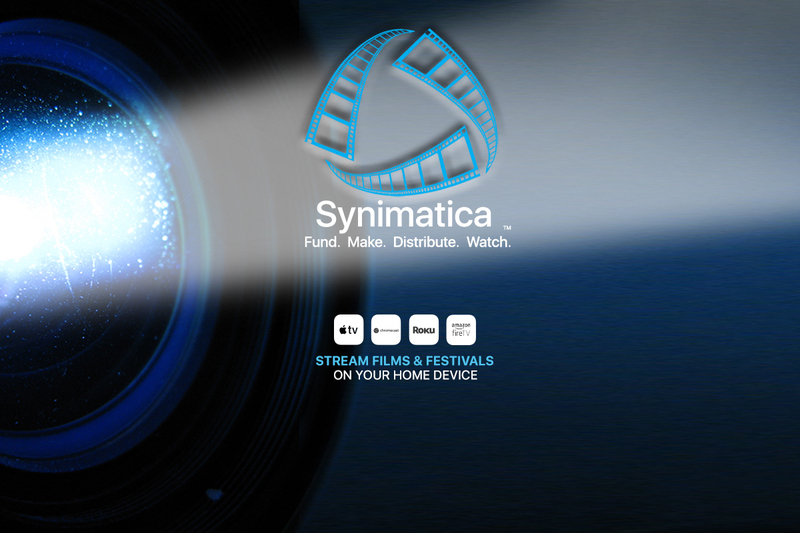 The Synimatica Film Fest brings the traditional festival home in a 24/7 digital format that supports both public and secure, private panel judging and screeners as well a providing a platform to complement traditional film festivals with attendee-only screening capability of featured venue-based film festival content before,during, or after the festival. So If you are filmmaker in search of a flexible festival exposure platform or a festival program director looking for a platform build a digital brand globally, the Synimatica Festival Platform has a solution for you. This is our premium content where filmmakers can market and sell their films on a professional platform. We seek out great content and reward filmmakers for their talents. Viewers can subscribe for $2.99 a month to browse catalogs of every genre and style. Because we are focused on short films, our library expansion will grow quickly giving the subscriber unlimited access to new content.